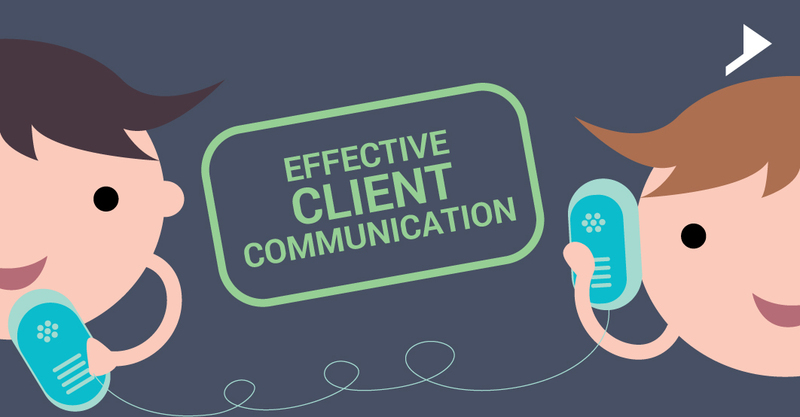 Home / Client communication / Tips For Effective Client Communication- Learn Client’s Language. Technical skill alone is not sufficient for a project success. Client communication has a great role in it. If we analyze the reasons for project failure, we can see that 90% of the failure is due to communication issues with the client. In the series of articles, we will discuss about a few major elements for better communication apart from the common rules, which we follow in professional communication with the client. If you use technical jargon’s in your communication with the client, the communication may not be effective as it depends on the client’s technical knowledge level on the area, which you are talking about. 1.Assess Clients Technical Knowledge level. 2.Communicate using common terms, which the client can easily understand based on his technical knowledge. 3.If a technical term is included in communication, provide necessary explanation on the term in their language. 4.Include pictures/videos/reference websites in the explanation as it conveys a lot than an essay. For example, JQuery Accordion effect for website menus are familiar for a WordPress/web developer, but it may not be familiar for a client. So instead of using the term alone in the communication, try to include a small explanation and share a reference website, where a similar kind of effect is used for the menu. In this way the client can easily understand what we are exactly talking about. Facebook planning to outspread its reach into Small Business Market.